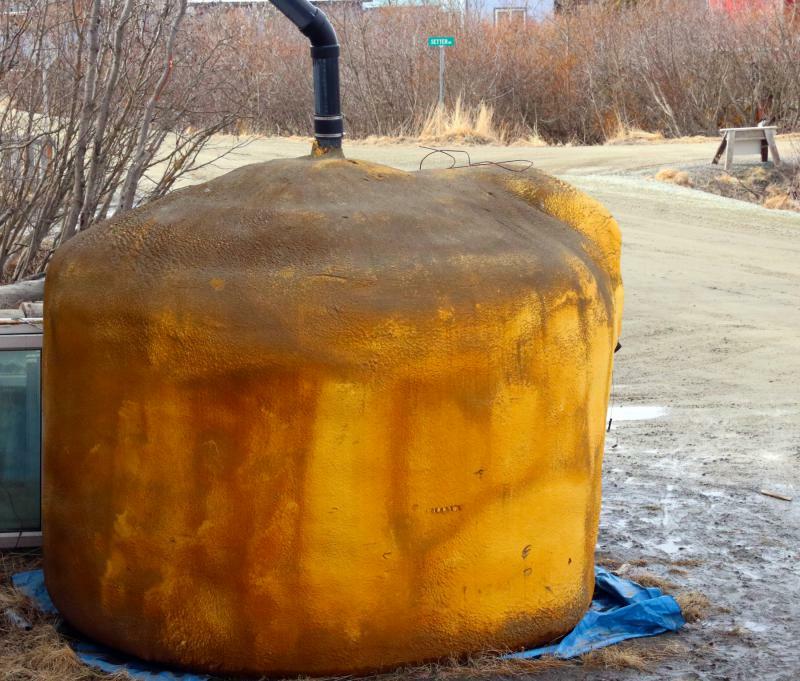 This week the Yukon Kuskokwim Health Corporation is offering to test Bethel water tanks for bacteria at no cost. Update: Troopers report there is no foul play suspected in Phillips death. Law enforcement is investigating a death in Chuathbaluk, where Flora Phillips, 26, of Anchorage, died in her sleep. 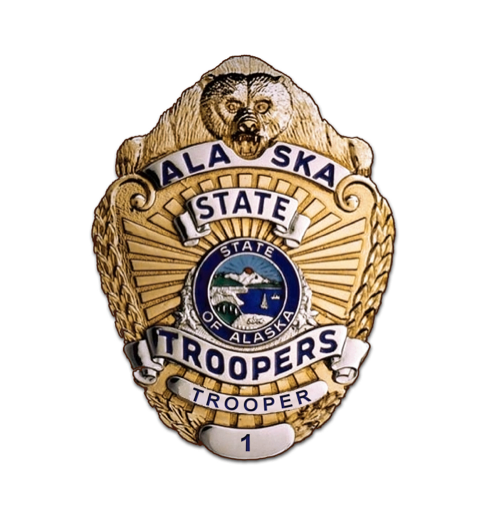 The first report that State Troopers based in Aniak received was that CPR was being attempted. Then they were notified that she was dead. Her body has been sent to the State Medical Examiner for autopsy in Anchorage. More details are not yet available. With funds from the U.S. Department of Housing and Urban Development and the Veteran Affairs Supportive Housing voucher demonstration project, AVCP Regional Housing Authority has enough money to pay for housing for 20 homeless military veterans. 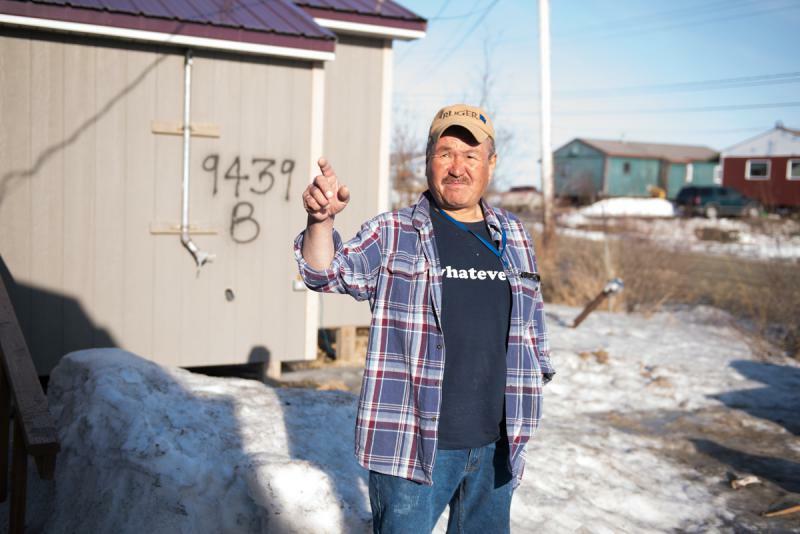 Now the job is finding vets in the Yukon-Kuskokwim Delta interested in housing that is completely paid for by the program. The late Paul John of Toksook Bay is remembered as one of the Yukon-Kuskokwim Delta’s most respected leaders. Last week, the Yukon-Kuskokwim Health Corporation honored his legacy and his decades of service as a board member by dedicating its new hospital expansion to the late elder. 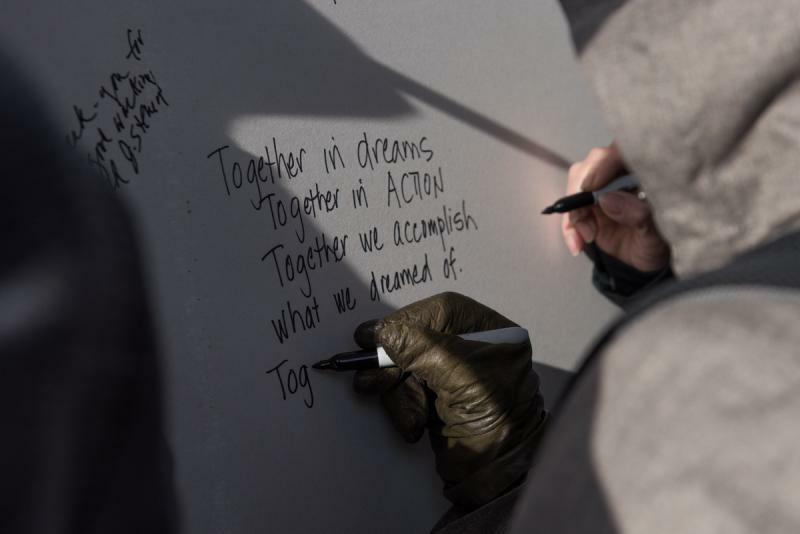 KYUK was at the dedication ceremony, along with more than one hundred people, writing on a piece of drywall. “Best wishes," Jennifer Uruvak Stevens of St. Mary’s wrote on the panel. “God bless,” scribbled Michael Jimmy of Chuloonawick. An overdue snowmachiner who’d run out of gas was found in a safety cabin by search crews this weekend. 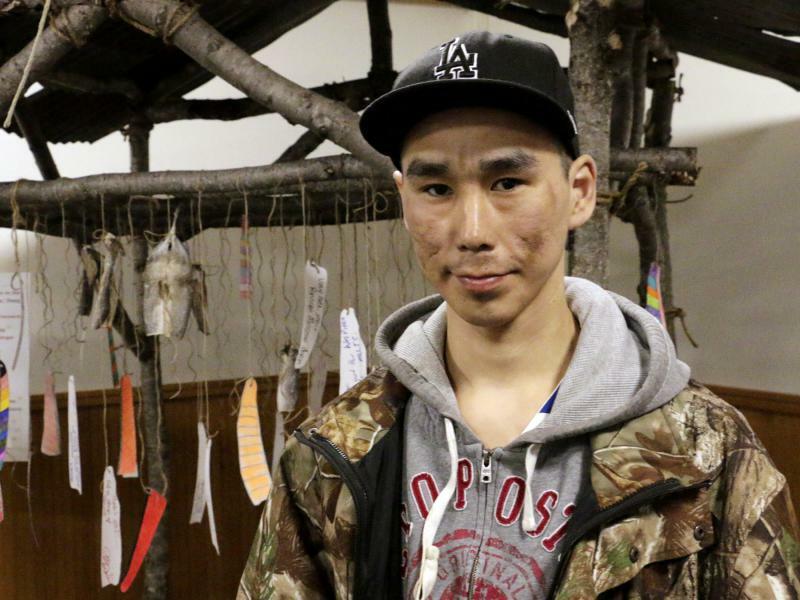 Nineteen-year-old Clinton Paul had left Tuntutuliak Saturday evening, bound for Kipnuk. When he didn’t arrive, search and rescue teams deployed from Tuntutuliak, Kipnuk, Kwigillingok, and Kongiganak to look for the teen. Meanwhile, State Troopers launched an aerial search with a Bethel Search and Rescue volunteer on board as a spotter. 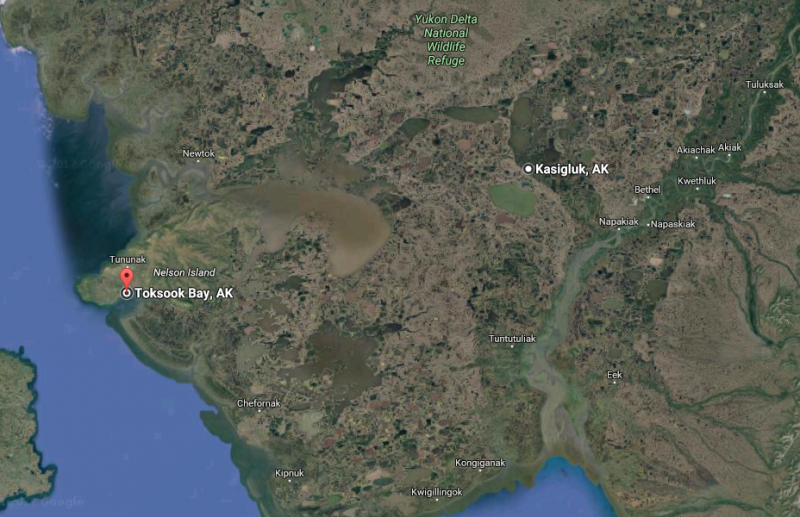 Late Sunday night, after approximately 18 hours of searching, crews found the overdue teenager in a safety cabin between Kwigillingok and Kipnuk. Search and Rescue volunteers have found both travelers who were overdue on a 90 mile snowmachining trip from Kasigluk to Toksook Bay. The two men had been missing since Sunday night. Update April 5th, 5:52 pm: The second missing traveler has been found alive and is currently being checked out by health officials. Update April 5th, 11 am: One of the missing persons has been found in good health. Rescuers are still searching for the other missing traveler. Search and Rescue groups are looking for two travelers missing since Sunday who were last seen snowmachining from Kasigluk to Toksook Bay. A search was launched Tuesday afternoon for a seal hunter missing out of Newtok. Tom John, age 59, had a red and yellow kayak that was not found with his vehicle at the ice edge by searchers. He left Newtok on Monday for his hunt. The ground and air search for Tom John involves State Troopers, the Civil Air Patrol, volunteers, the Coast Guard, and the Alaska Rescue Coordination Center. The Red Cross is bringing free smoke alarms right to your door. It's their Regional Home Fire Campaign and it is coming to Bethel this weekend. 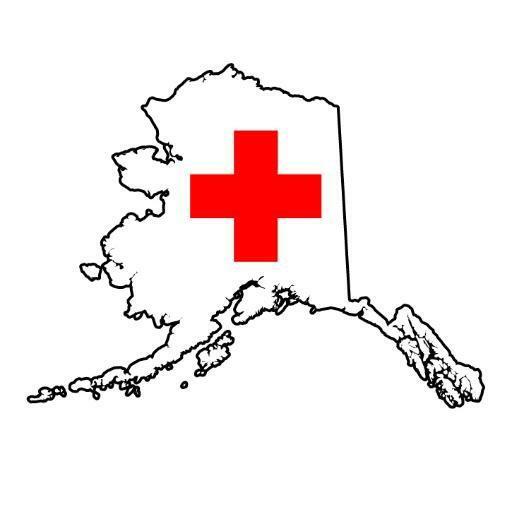 Lisa Miller, the Regional Communications officer with Alaska's Red Cross, says that they will be knocking on the doors at the Bethel mobile home park on Saturday. "Just be home if they're in the mobile home park. Just be home and, you know, open the door when you hear somebody knocking." Miller says the goal is to reduce home fire deaths and injuries by 25 percent.